Twelve cell salts were recognized and categorized by a German biochemist William H. Schuessler in 1873. He found that there are certain essential minerals that the body requires, in proper balance, in all of its cells. An imbalance or a lack of any of these minerals may lead to disease in the tissues so lacking. Providing the missing minerals to the tissues corrects that imbalance, and so eliminates the illness. This seemingly simple system of cure has great practical application in health. Using only a small number of harmless combinations (or "salts") of these minerals, it is possible for any individual to treat him- or herself simply and effectively for a great variety of everyday minor ailments. It is significant that such cell-salt treatment is replenishing something the body lacks and wants, as opposed to merely suppressing illness with drugs and other chemicals. Drugs do not provide missing cell nutrients, but drugs do add harmful chemicals to the body which ultimately compound the problem. The Schuessler cell salts may be seen as special raw materials for the body, which you need more of if you run out of what you normally have. A "salt" is any type of readily dissolvable mineral combination, not just table salt. Many people take dietary iron supplements, but few would chew on a rusty nail for an iron source. The same is true with the Schuessler minerals: the potassium, silicon, iron,phosphate or other substance must be in a special potentiation to be most useable to thebody. Most Schuessler cell salts are in a homeopathic potency, which uses minute quantities of a substance with great effect. The potentiation process multiplies the essential energy of a substance while at the same time decreasing the dosage amount. The subtlety, harmlessness and effectiveness of such preparations have been clinically proven for well over two hundred years, since the beginnings of homeopathic treatment in the 18th century. 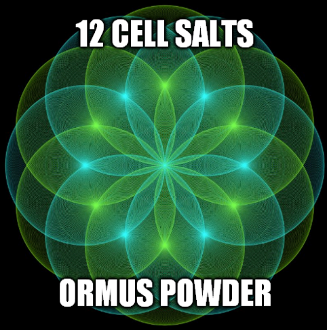 Anyone can buy and use these twelve cell salts, separately or in combination, without fear of toxicity. This includes pregnant or nursing women, old or young alike, those taking medications, and even those using other natural therapies. Cell salts do not react with medications because they are supplying minerals on a cellular level. They are easily given to children, as most children like the sweet taste. b. Feel as if "I'm too tired to rest." 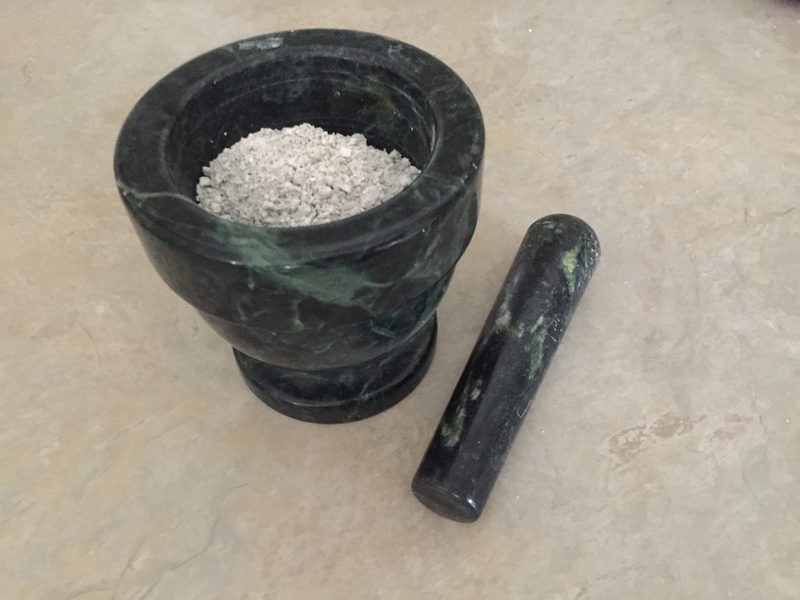 I made this by adding a mixture of all 12 Cell salts and Dead Sea salt to harmonically structured water Then I preformed the John Hudson Method, by adding Organic Dolomite Lime and swinging the PH. Then after 7 washes and letting it dry this White Powder is full of Ormus goodies as well as all 12 cell salts.